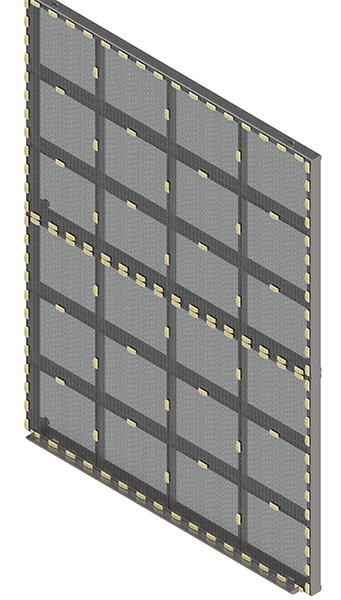 WTR stationary screens, also known as static screens, are one of the most economical means of protecting downstream equipment. 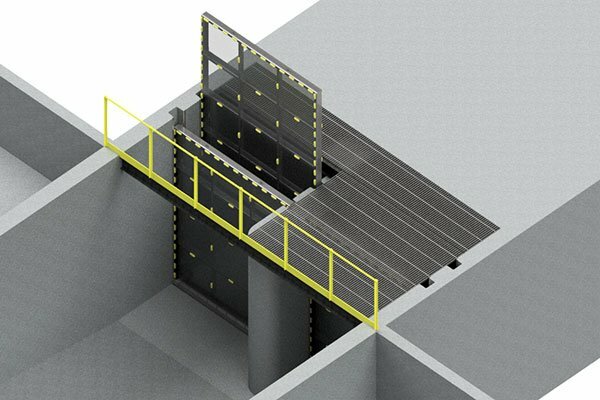 Stationary screens are used in all types of applications where debris fouling is not an hourly issue, yet protection of downstream equipment is essential. Debris in the flow stream that can foul condensers, heat exchangers, and pumps includes degrading tower elements (in closed loop cooling cycles), blow down, windblown trash, and common aquatic vegetation. Stationary screens are designed for manual cleaning with owner’s existing washing equipment. Stationary screens are also ideal for low flow or light debris loads. Stationary screens are typically used in series with a primary screen facing the flow. A roving screen is placed downstream to capture debris when the primary screen is fouled and requires cleaning. Stationary screens can be sized for new construction or adapted to existing sites, including the guides. WTR Engineering, LLC, is a wholly owned subsidiary of WesTech Engineering, as of April 1, 2017. WTR designs and supplies mechanical water filtration equipment, such as raw water and wastewater screening for large flows, for both the municipal and industrial markets, including the power industry. Materials of construction of Carbon Steel or Stainless Steel (304L, 316L, duplex, or other).